Follow Star, Mocha and Latte on Twitter. 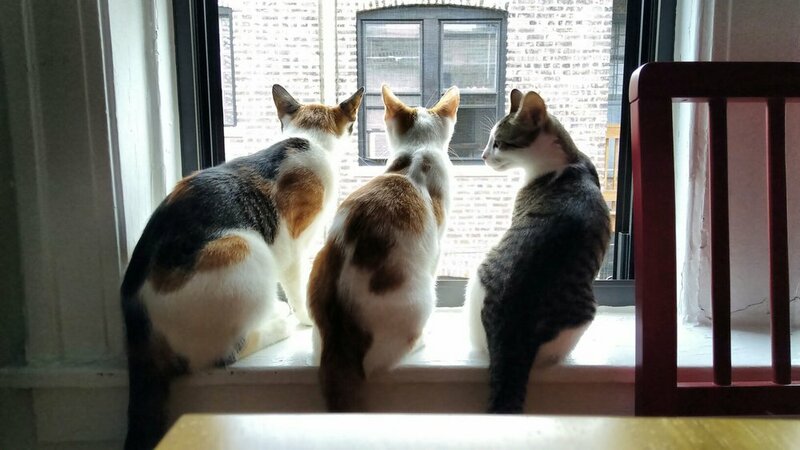 Star, Mocha and Latte are also frequently present on the Kitten Academy Discord server with pictures and updates! Agent Star and her kids, Latte and Mocha... on some kind of reconnaissance mission, no doubt! Bean was adopted by a couple who also adopted another kitten called Summer from On Angels' Wings around the same time. So, Bean has a sister to grow up with! Java, Caramel or Frappe have not been in contact with us since they graduated successfully from the Academy. If you are the adopters of these esteemed alumni and would like to get in touch with updates or pictures, please email Headmaster Acro at headmaster@kitten.academy as he always loves to hear from his students. Let us know if you would like your pictures of KA alumni to appear on these pages!